Square Enix and Tetsuya Nomura have announced today that they have finally wrapped up development of Kingdom Hearts III (meaning it has gone gold). 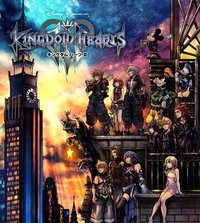 It has been over 5 years since KH3 was originally announced during E3 2013 on the Sony press conference stage, so this has been a long time coming for fans of the series. to celebrate, they have shared an extended version of the "Together" trailer for the game that has been playing in North American cinemas. The video showcases characters from Toy Story, Monsters, Inc., Frozen, Tangled, Pirates of the Caribbean, Hercules, Big Hero 6, and more.